Choosing the right home inspector can be difficult. Compared to other hired professionals, you likely won't meet an inspector until the actual time of the appointment. Also, home inspectors may have different levels of experience, qualifications, reporting methods, equipment, and rates. If you’re searching for home inspectors you can rely on, turn to Inspect All Home Inspections, LLC in Lansdale, PA & Blue Bell,PA. The quality of a home inspection depends on the inspector’s own commitment to the job. When you let us inspect your home, we guarantee to give you our best effort. For us, an inspection is not a transaction but a process that can be worked on together with our clients. This is why we always practice proper communication and punctuality. When you request a report, we will make sure to deliver it to you on time. We want to give our clients assurance and peace of mind. Our goal is to give them all the information they need to know about the condition of a property so that they can make informed real estate decisions. We are certified and licensed home inspectors serving Philadelphia and the surrounding suburbs. Our team is passionate about helping people fix property-related problems, whether they’re having trouble with termite infestations or with assessing the condition of their home. Many consider us the best in our field because we offer thorough and complete inspections. 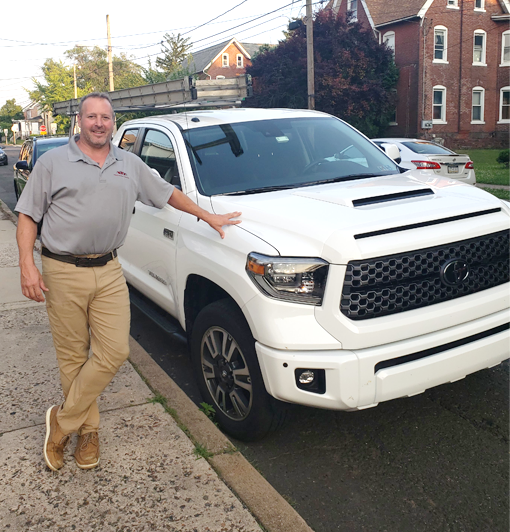 We have been in industry for more than 20 years, and our founder is a veteran who has worked as a home remodeling contractor for more than 20 years. Because of our vast experience, we have acquired the knowledge and skills needed to conduct comprehensive inspections. We can assist you in knowing everything about a property, both inside and out. At Inspect All Home Inspections, LLC, we understand that your property is one of the most expensive and valuable items you will ever purchase in your life. This is why we provide services that will help you make informed decisions about your property. When you come to us for inspections, we will not take the responsibility lightly. Using state-of-the-art tools as well as the latest home inspection practices, we will make sure to complete the job to your satisfaction. We aim to help every homeowner know a property inside and out before buying or selling it. We are proud to be members of the International Association of Certified Home Inspectors.